One day this past Fall I woke and realized at age 26 I needed to get my life together financially if I wanted to pursue both my passion of travel and also return back to graduate school for my PhD studies. I’ve never been bad with budgeting and finance, but I’ve never been extremely good either. Back in October I sat down and created my Mint account to establish my first real budget that I was going to stick to while I worked to reduce my debt and increase my assets. 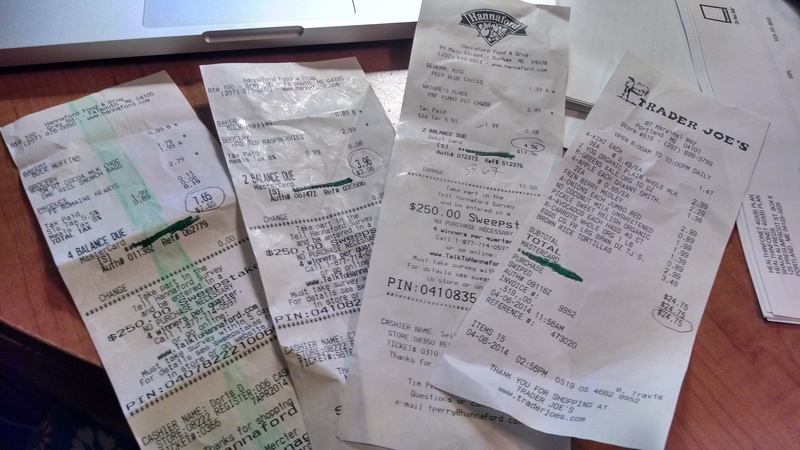 One of the first things I did was to scrutinize all my expenses and examine where I could cut costs. One stood out from the rest – my cell phone bill (okay, maybe Starbuck trips were up top there too). My plan with Verizon, which included about 500 minutes of talk, unlimited text, and 2GB of data on my iPhone 4 cost me a whopping $96.98 (including taxes). I was paying close to $1200 a year for something that wasn’t used much. That $1200 could easily go to paying off my student loans! My Verizon contract expired in September of last year so I was free to change plans to whom ever I decided would meet my needs. I looked into AT&T, US Cellular, T-Mobile, and Sprint. The cheapest plan I could find at the time was Sprint at about $70-$80 a month. That would give me about $10 a month or $120 a year in savings, but I knew I could do better. So I did what every normal person would do and “googled” cheap/budget phone plans. At first I was convinced that I would do a Straight Talk Wireless plan. 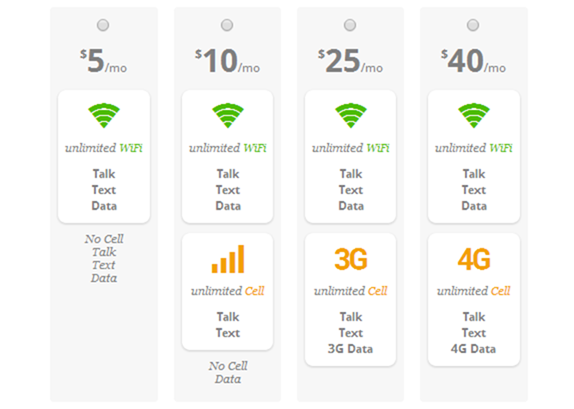 Straight Talk offers no contract and unlimited talk, text, and data for $30 a month plus taxes. Not a bad deal I thought! And then I found out that you had to pay full-price for a new phone! My Verizon iPhone would not work on their system so I would definitely have to purchase a new phone. For a new (or used) iPhone I was looking at a price tag of $400-$650 for a new phone depending if I purchased a used iPhone 4s or a brand new iPhone 5. I kept Straight Talk as a strong contender, but I really hated the idea of dropping over $500 for a new phone. At first during my new cell phone plan search, I was set on getting an iPhone. I wasn’t until I found Republic Wireless that I was open to switching to an Android phone. I found Republic Wireless through Mr. Money Mustache’s website. 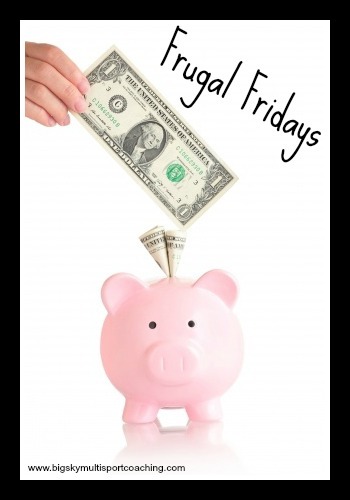 He is one of my favorite personal finance/frugal living bloggers. He spent a lot of time researching and trying new cell phones that fit his frugal lifestyle. Republic Wireless was his winner and continues to be so today. If it was good for him (and many other frugal bloggers) then it would be good for me. Republic Wireless is a special wireless company. You can now choose from two phones: the Moto G ($149) or the Moto X ($299). When I made the switch in January I only had the option of the Moto X. You only have these two options because these phones are made especially for Republic Wireless. Republic Wireless had extremely low cell phone plan pricess because the company builds in a wireless transceiver into each phone. If you’re in an area with wifi your call will be made over the wifi connection. However, if you’re in an area with no wifi, the call will be made over the Sprint and/or Verizon cellular networks. The phone will automately switch from wifi to cellular if you walk outside the wifi zone (it’s worked great for me). For the first four months I used Republic Wireless I used the $10 a month plan because about 90% of the time I was surrounded by wifi spots. It worked great for me and allowed me to recoup some of the costs I spent when I purchased the phone. In May I switched to the $25 a month plan because I would be riding my bicycle outside and wanted the ability to use Google Maps to find out where I am if I got lost. Thus far, my reception has been great. Of course, if you are considering changing to Republic Wireless, make sure you check their coverage maps HERE. One of the best things about Republic Wireless is the ability to switch between the plans twice a month. When I travel out of the country (like my trip to Belize and Guatemala in May), I switched to the $5 a month plan for that week and as soon as I hit tarmac in Atlanta, I switched back to my normal monthly plan. Another major benefit, which I haven’t used yet because I wasn’t aware of it until after my trip, is the ability to make calls out of the country back to the US if you’re on a wifi network. For example, when I was using the wifi on my phone at the hostel in Belize, I could have called my father in Maine. As noted above, I have not used this feature yet so I’m not 100% sure of the quality. It seemed like a no brainer when looking at the above table. Because I chose the $10 a month plan for 4 months, I should only pay about $605 for my total 2014 cell bill. If I had stayed on Verizon without upgrading my phone, I would have paid roughly $1164. I just found an extra $500 a year just by changing cell phone plans! I just finished week 3 of my April Challenge. It’s getting harder! I’m hungry… like all the freaking time! I can tell you now, this week (April 20th – April 26th) is my last week. It will mark 4 weeks. I was originally thinking of extending it to 5 weeks since April 30th ends on a Wednesday. However, with my first triathlon on May 3rd, I would like to be properly fueled. The total rang up as $32.08. I also spent an additional $8.37 at Hannafords. I can’t find the receipt and honestly, I have no clue what I bought. Wednesday I had to buy lunch due to a work meeting in Augusta. 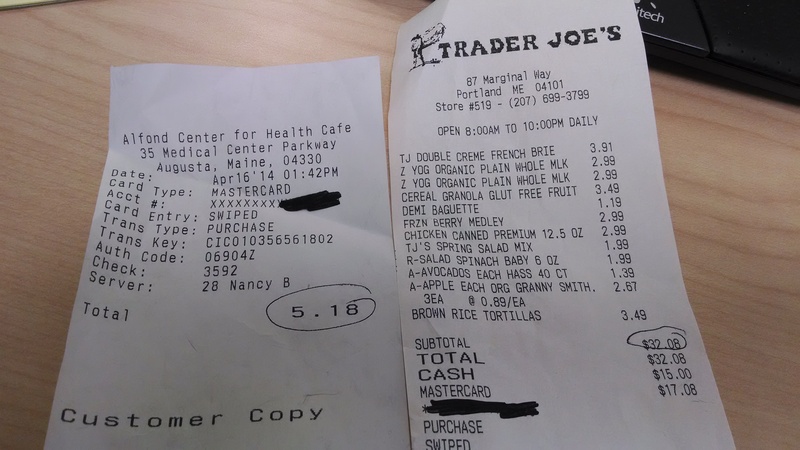 I had an Asian chicken salad from the cafeteria and chips for a total of $5.18. Tuesday we had a work lunch meeting. My boss bought us Portland House of Pizza. I do not like PHOPs pizza, but I was so hungry that I ate several pieces! I’m surprised that I didn’t bite someone’s hand off either. I spent a grand total of $45.63 (including my work lunch) on food during week three of my living on SNAP challenge. I’m quickly losing steam during this challenge. I’m hungry. Living on an extreme food budget and being a very active athlete does not mix well. You’re hungry all the time! Certainly I could eat pasta and bread none stop, but I’m not a huge fan of a lot of carbs (with the exception of vegetables, fruits, and legumes) in my diet. Adequate protein is tough to consume on a regular basis living on SNAP. For my active lifestyle and my current body weight, I should be consuming about 105g of protein a day (based on 0.8 grams per pound of body weight). I’m lucky if I’m currently eating half that! My main protein staples have been beans, yogurt, canned chicken, and peanut butter. Fruits and vegetables have been limited as well. This week I did spend more on greens to get into my diet. I miss big salads at lunch, but fresh vegetables are expensive. 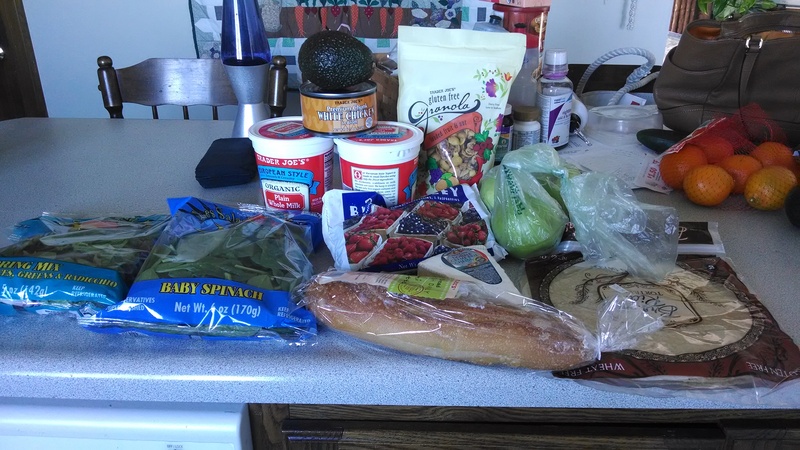 When you can only spend $37.90 on a food a week, you have to be creative and pick the biggest bang for your buck, especially if you want to feel full after a meal. 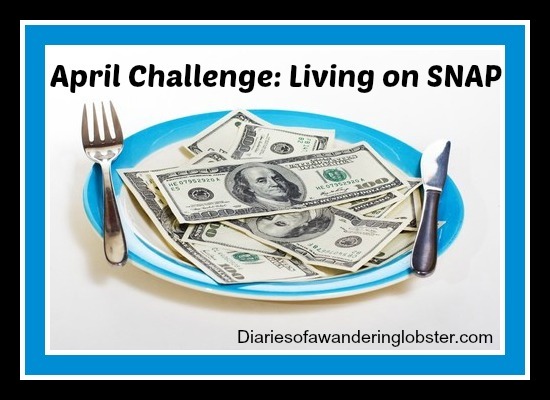 Next week I’ll summarize my last week of my April Challenge and expand more on my findings and feelings about eating on the cheap. 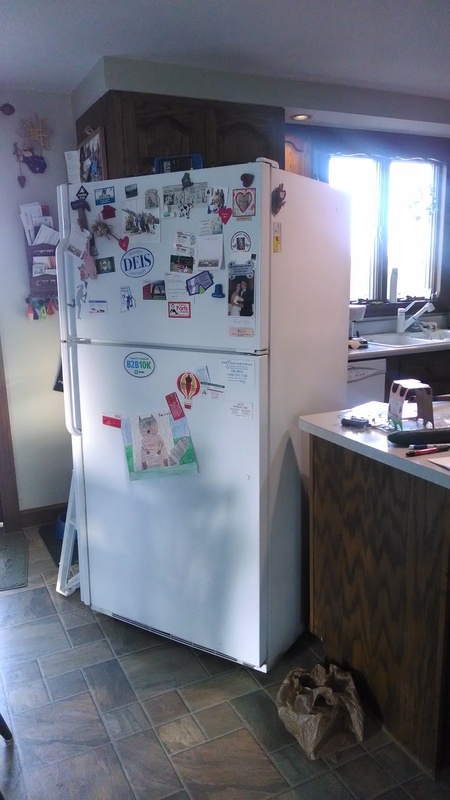 My second week living on $37.90 a week for food was a bit harder due to the fact our refrigerator died mid-week. I keep a lot of my lunch food at work so I don’t have to pack a lunch each morning. It’s convenient for me, but I’m sure I annoy some of my coworkers by taking up prime real estate in the fridge at work. However, I have a lot of frozen food and then all my eggs, yogurt, greens, etc. in my fridge at home. My father rushed all the frozen stuff and the eggs and dairy products to his girlfriend’s house for two days. The remaining fridge items spent two days in a cooler in ice outside on our deck. 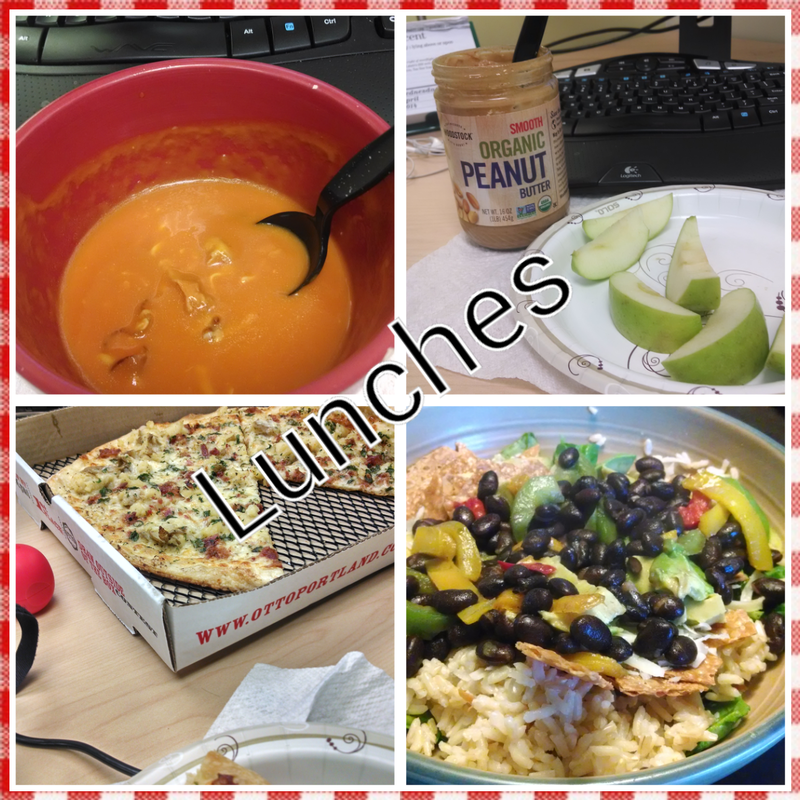 I was content with breakfast and lunch items at work, but dinner was a little harder to plan and cook due to the fact a lot of my food was not in the house. I tried to get creative though. I ate dinner Wednesday at my Junior League meeting. I had Italian sandwiches for the first time in years and I actually don’t really like them. I think I was just super hungry from my strength training workout prior to my meeting. On Friday we had a team meeting at work and I ate an entire small Mashed Potato pizza from Otto’s. #sorrynotsorry My excuse – I just ran 3+ miles before lunch…. Damn you marshmallow peeps! Peeps are my guilty pleasure and I only eat them around Easter. I tried to be strong, but their little chocolate eyes just stared me down and begged me to buy them (and then eat them)! If you remove the sandwich baggies, I spent a total of $39.33 on food for the week. I purchased the soup Thursday night for dinner since our fridge was dead and almost all my food was either at work or at my father’s girlfriend’s house. My lunches and dinners consisted mostly of my poor man’s “Chipotle” bowl and soup. Breakfasts consisted of yogurt and fruit or eggs (when I had them in my fridge). 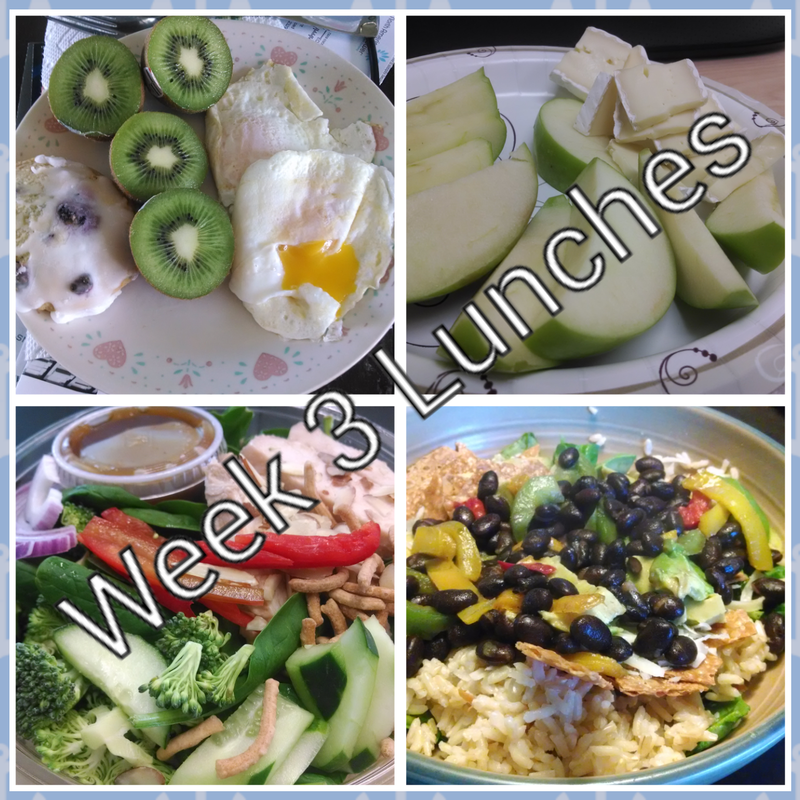 Very similar meals as last week. I did find a recipe to make cauliflower soup, which is why I purchased coconut milk, but haven’t made it yet. That’s on this week’s agenda. One of my favorite lunches (not pictured) was chicken salad (made with canned white chicken, plain yogurt, and sweet relish) on salad greens on a brown rice wrap. Yum! Let’s hope I can under-spend the next couple of weeks so I average only spending $37.90 a week. It’s getting tougher though. I so badly want to buy more fresh fruit and veggies, but I’m trying to work with what I have. I’m heading to Belize in less than 4 weeks for vacation, so I’m hoping to focus on using the food I have in my pantry and freezer instead of buying a ton of new foods. I definitely need to get creative and find some new recipes! Do you have any healthy-ish recipes to share? preferably ones that work well for someone on a tight budget?